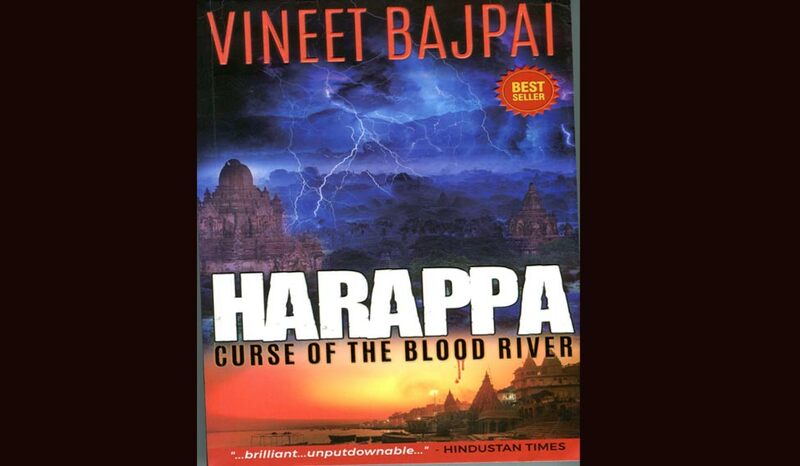 Harappa: Curse of the Blood River was Vineet Bajpai's debut fiction novel on two people, Vivaswan and Vidyut, separated by thousands of years but joined by a common lineage and an ancient curse. Pralay: The Great Deluge takes the story forward to show the rise of the demon Vivaswan who was once the most respected and morally righteous character in Harappa. What becomes of this devta of Harappa? Is Vidyut really the presaged saviour? What about the sinister despots out to disrupt the world order? And will the secret behind the strange emperor of Bithynian City be revealed in the follow-up story of revenge and intrigue? Pralay takes up the challenge of unravelling these questions in a tour de force of a book. Pralay is Bhatia's attempt to sustain the interest and buzz generated by Harappa, to uphold that consistency of thought and writing craft in a competitive genre of historical and mythological thrillers flooded by the likes of Amish Tripathi and Ashwin Sanghi. Except that this outing seems much too derivative and Dan Brown-esque. In its bid to be cinematic and racy, Bajpai seems to have forgotten to tighten the plot. While in Harappa, Bajpai had full control over the parallel journeys of two protagonists with believably crafted contextualisation, Pralay could have invested more in character-building. The scenes could have been set more gradually. It has too many plot twists and tries hard to build up to an earth-shattering conspiracy. And sentences like "His tired, afraid and hopeful eyes kept gazing at the far horizon of the devastating deluge" and "The terrifying, earthshaking smashes and jangles continued unabated, by now a deafening roar" are too adjective-laden. It appears to be strung together from a glossary of words which can work in a contemporary mythological novel. But Bajpai's ability to traverse the universe across the continuum of time with the stroke of a pen, from 1700 BCE Harappa to 2017 Banaras and modern day Turkey in 325 AD to the East of Harappa in 1700 BCE, is his most enduring quality. For a serial entrepreneur whose non-fiction business titles published by Jaico sold more than 50,000 copies, dabbling in historical fiction has its risks. But Bajpai is more than sporting to take that plunge. By self-publishing Harappa and Pralay, he has deftly given voice to his preoccupation with tales of ancient history a new lease of life and with "creative abandon", as he would like to describe the process in the prologue of Pralay.